Termites are tiny insects that live and feed on wood. They can go unnoticed for many months and increase their population within no time. Whether they are hungry or not, termites keep on eating the wood without any break. This is why it is very important to identify and kill the infestation as early as possible. Crackled or bubbled paint on the walls. Hollow sounds and spaces in the wood. Termite wings near any wooden wall or furniture. Powered wood on or near the wooden items. Termites can invade our home any time around the year but warm and humid environments help the infestation to thrive. If your home is infested with termites, then it is better to get a professional help immediately. Meanwhile, you can try home remedies to control the infestation. Here are the top 14 ways of treating a termite infestation. Getting rid of termite infestation is not a one time job, you have to follow the remedy regularly to remove the infestation completely. Orange oil is extracted from the orange peel which contains 92% d-limonene which is very toxic for the termites. Orange oil is the most effective and practical ways to treating termites. There are two ways to using orange oil to remove the infestation. Drill small holes at the infested places. Inject orange oil into the holes. Re-inject orange oil once in a day. Depending on the severity, this process will take 3 days to 3 weeks to remove the infestation. Brush orange oil on the infested areas. Or add few drops of orange oil to a cup of water and spray it on the infested areas. Repeat the process once or twice in a day. Coat or dust the infested areas with boric acid. Repeat it once daily for a week. Combine 1 teaspoon borax powder and 8 ounce of hot water. Spray the solution on furniture and other infested areas. Repeat the spraying daily once or twice for few weeks. You can also spray the solution once in a while to prevent the infestation. Note: Boric acid and borax are same. So, borax can also be used to treat termite infestation in the way as boric acid. Though the process works slowly, it is one of the safe and nontoxic ways of removing termite infestation. Neem oil acts as insect growth regulator which prevents it eating and reproducing. Termites die quickly once they come in direct contact with neem oil. Using a cotton ball, apply generous amounts of neem oil on the infested areas or furniture. Repeat the application daily until the termites are completely eliminated. It is known to solve a variety of pest infestation problems which includes termites as well. It scrapes off the outer shells of the termites which leads them to dry and eventually die. Spread a generous amounts of diatomaceous earth on the infested areas. Repeat the process once in a day until the termites are gone. Once in a while, spread diatomaceous earth (garden grade) along the earth foundation to prevent the infestation. Caution: Always wear a mask while handling diatomaceous earth. Though aloe vera gel is known for its medicinal and healing properties, do you know that it is one of the easiest ways to get rid of termite infestation? When termites come into direct contact with aloe vera gel, they die almost instantly. Blend it with some water. Apply this on the infested areas. Repeat the application 2 times in a day to get rid of termite infestation. For this process, you can use clove oil, vetiver oil or any other essential oil effective for pest control. Add few drops of clove oil into a cup of water. Spray this solution on the termite colonies or furniture. Repeat the application daily for 1 – 2 weeks. Sodium chloride is one of the easiest and quickest ways to get rid of termite infestation. Combine enough amounts of sodium chloride and water. Spray the solution on the infested areas or furniture. Repeat the process once in a day until the infestation is completely gone. White vinegar is one of the handy ingredients readily available in our kitchens. Termites cannot handle the acidic nature of white vinegar which makes them evacuate or die. You can spray white vinegar daily on the infested areas or try this more effective method mentioned below. Combine 1/2 cup of white vinegar and freshly extracted juice of 2 lemons. Spray this solution on the infested places or furniture. Repeat the spraying 2 times in a day for few days to a week. One of the simplest ways to get rid of termite infestation is soapy water. It forms a solid seal on the outer shells of termites which makes it vulnerable for them to breath. And they eventually die. Add 2 tablespoons of liquid dish into 4 cups of water. Spray the solution on the infested areas. Salt is also considered one of the best ways in eliminating the termites. It keeps the termites at bay which helps in preventing the infestation. Combine equal amounts of granulated sugar and warm water. Stir well until the salt dissolves completely. Fill a syringe with this solution and inject it into the termite entry points and gaps in the wall. Repeat the process once in a day for 1 – 2 weeks to eliminate the infestation completely. For small or localized infestations, you can try cayenne pepper. It kills and clears the infestation in no time. Sprinkle cayenne pepper powder on the infested areas. Repeat the process once in a day until you find all the termites dead. Alternatively, you can mix cayenne pepper and any vegetable oil to make paste and apply it to vertical spots and creases in the wall. This is a DIY trap for eliminating termites. As termites not only feed on wood but also on paper and cardboard, this trap is very effective in trapping those tiny creatures. Wet a cardboard and place it near the infested areas. When the cardboard is full of termites, take it outside the house and flame it. Repeat the process several times to get rid of termites. Note: Wear gloves when you handle the termite infested cardboard. The garlic oil contains insecticidal properties that kill the termites. The same way neem and tobacco also help in getting rid of termites. Follow the below process which uses these three ingredients to make a termite pesticide. Combine 20% garlic oil, 10% neem oil, 5% tobacco and water (hot or cold). Spray this solution on the infested areas and furniture. Repeat the spraying 1 – 2 times in a day for 2 weeks. Kerosene is also one of the effective ways to terminate a termite infestation. Kerosene creates an inhospitable environment for termites to feed on and breathe. Spray kerosene on the infested areas and furniture. Repeat the process once in day. For added benefits: Add few drops of citronella oil into kerosene. Note: As kerosene is highly flammable, it is better to be careful while using it. Once in a while, cost your furniture with petroleum jelly and place it under the sun for few hours. This will make the termites evacuate the furniture immediately. This product contains worm species which feed on termites and other tiny creatures. They bring down the termite population drastically. You have to just introduce a bunch of nematodes into the termite colony. And the remaining task is completed by the nematodes. Termites cannot live too hot or too cold environments. So, if you furniture is infested by termites, then place it under hot sun. This eventually leads to termite evacuation. You have to repeat the process daily for few days for complete evacuation. Alternatively, you can pour some ice water on the infested areas to achieve the same. Prevention is always better than cure. So, check for the infestation around your home regularly. Take professional’s help to take enough measure to prevent an infestation. Cut down the branches touching your house boundaries. Remove the mulch and other dead plant material around your house as they increase the termite infestation chances. It is better to invest in a proper drainage and grading system. If you have any crevices, spaces or cracks in the wall, make sure to fill them properly with mortar or other materials. Avoid storing wooden logs or wooden debris around the house. It is better to avoid using unauthorized termite control products as it can cause damage to your furniture. Make sure to repair water pipes and other plumbing accessories. Keep moisture away from the home’s foundation. Have you ever tried eradicating termite infestation completely by yourself? 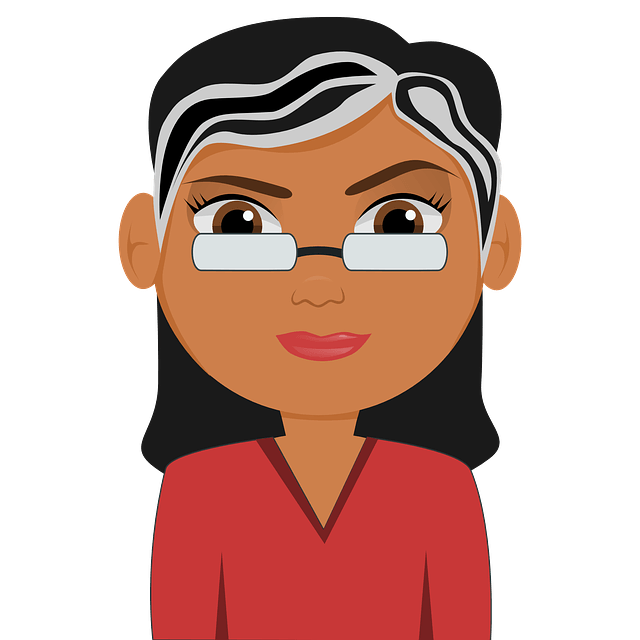 Feel free to share your experiences, suggestions and concerns in the comment section below. 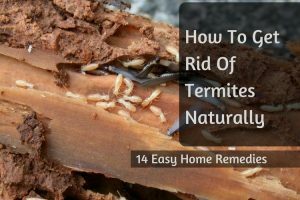 Do these remedies work on all types of termites?